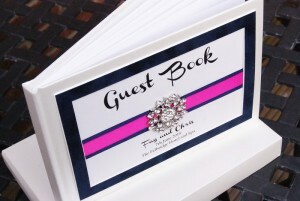 Guest Books are a fabulous memory to keep from your wedding day. 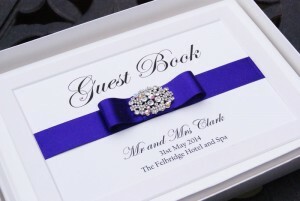 A lovely idea is to place it on a table with your wedding card post box. 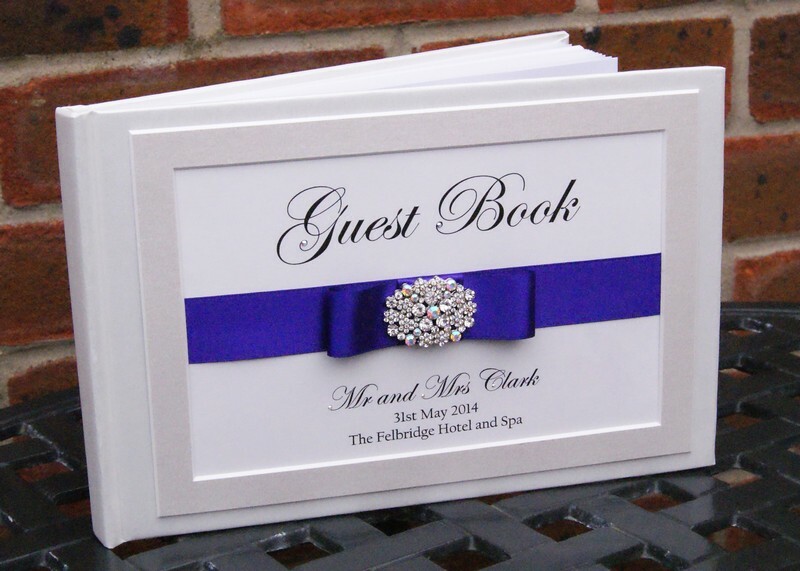 This way your guests can post your card and write in the guest book whilst they are there; don’t forget to place some pens with it too! We can offer you an array of guest books; some with printed hearts or butterflies (we can add crystals to these too if you wish) and others which are hessian and lace but the best seller is our gorgeous boxed, pearl guest book we finish to match your stationery perfectly. 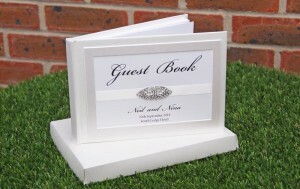 Our Guest Books are £29.00 (plus delivery if they are sent through post).